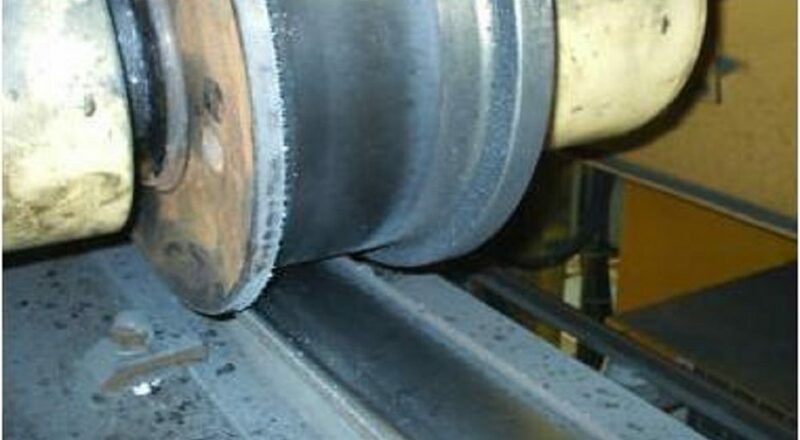 The system was originally designed for rail vehicles, to prevent wear between wheel and rail. Also, the noise should be minimized. 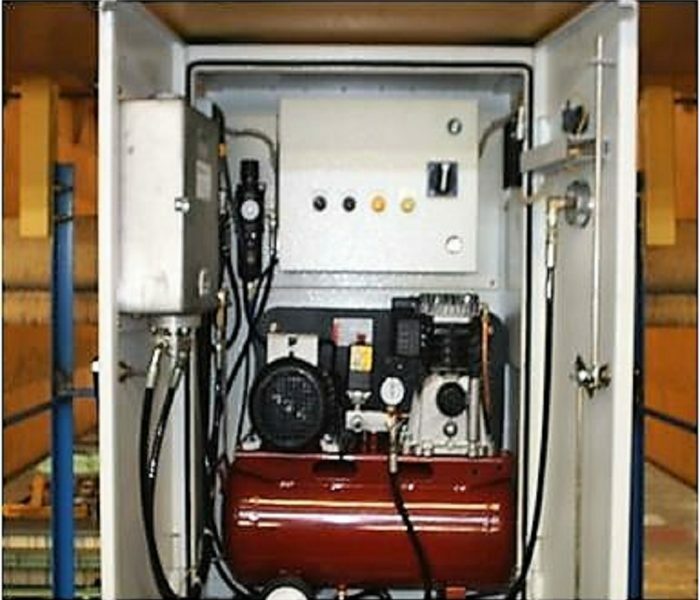 This lubrication system can be optimally used for rails and wheels of cranes. The effect is up to 10 times longer durability of wheel and rail. – Measured coating lubricant supplied from the pump. 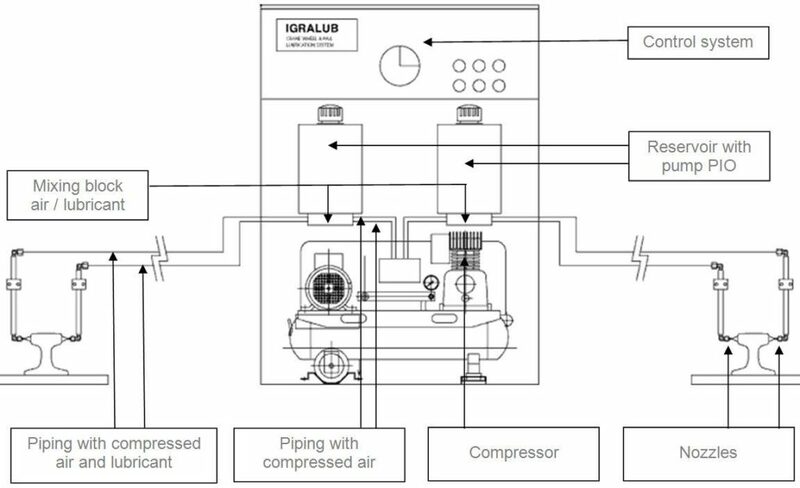 – Compressed air and lubricant are mixed in a ratio of 9:1 and transported to the nozzles. 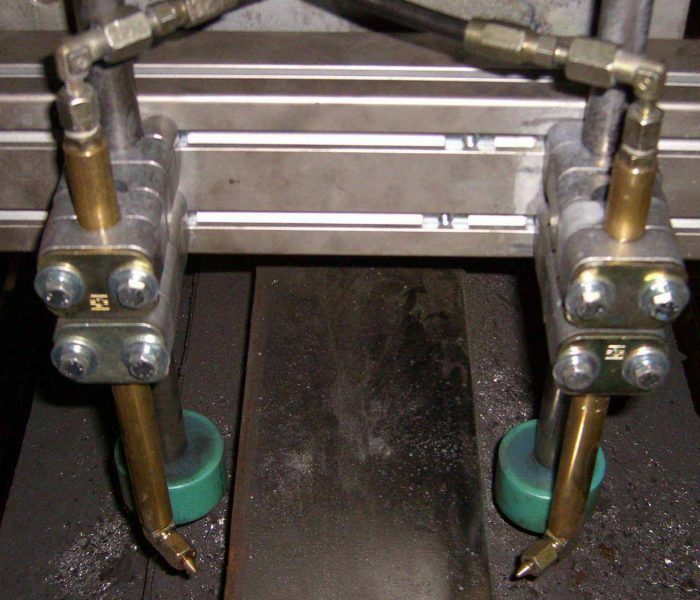 – The precise amount of lubricant is sprayed with nozzles on both rail sides. – Coated only while crane wheels are moving. – The control system ensures optimum coating of the wheel / rail interface edges. – The spray amount from each nozzle can be adjusted separately. – Used in any shape of rail and wheel with non-contact method. – Specially developed lubricant with a high content of solid lubricant. – Despite extreme pressure reduces the wear and friction between the surfaces by the formation of a solid film. – More adhesion, better grip of the wheels and heads the overheating occurs faster. – New thickening system, no deposition of solid lubricant components. – Increased productivity through time savings due to fewer large substitutions of wheel and rail. 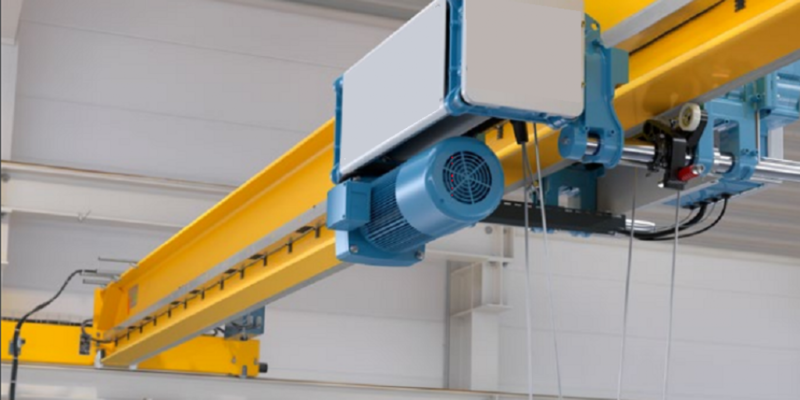 – The reduction of wear between wheel and rail of cranes, reduced the replacement up to 10 times. – Rail can be used long time without replacement. – Through economical application of the lubricant film, dirt or other contaminants to prevent.